Like many people, my change came about through a season of suffering. I was forced to rethink some of the things that I grew up believing about God and the Bible because they didn’t make sense in light of what I was going through. It all started about 6 months after I got married, when my parents got a divorce after almost 25 years of marriage. About two years later we started having trouble getting pregnant. On top of that, we moved to a new town where we knew only my husband’s family and were in a church and around people that challenged everything I grew up believing about God and the Bible. I felt alone, like God had forgotten me. I was angry at God and angry at my parents. Especially my mother. My mom had abandoned me and so had God. Of course, having grown up in the church, I knew in my head that God would never leave me or forsake me. But that’s how it felt and, honestly, that’s what I wanted to believe. I wanted to be angry. I went through a very dark season. But, God didn’t let me stay there. He brought me to my knees and then showed me His glory. I couldn’t help but walk in forgiveness toward my parents once I began to see that I had been forgiven of so much by God. I began to understand the Bible as a story of Creation, Fall, Redemption and Restoration and it gave me a new way to look at the world around me and my place in it. I began to see that the Bible wasn’t a book about me, but about God and He gave me a desire to study it for reasons other than self-help. Because of infertility, we adopted. By adopting two little girls that came out of a dangerous situation of drugs, filth and crime, God gave me compassion for people like their birth parents. Adoption itself made me think about life differently. Not even just that we are adopted by God, as many see through adoption, but that this world is so broken. These babies were supposed to be raised by the parents that gave birth to them. They were supposed to be loved and cared for by them, not a stranger. But, in light of that brokenness, God had a redemptive plan for my adopted children and He chose us to be a part of it. 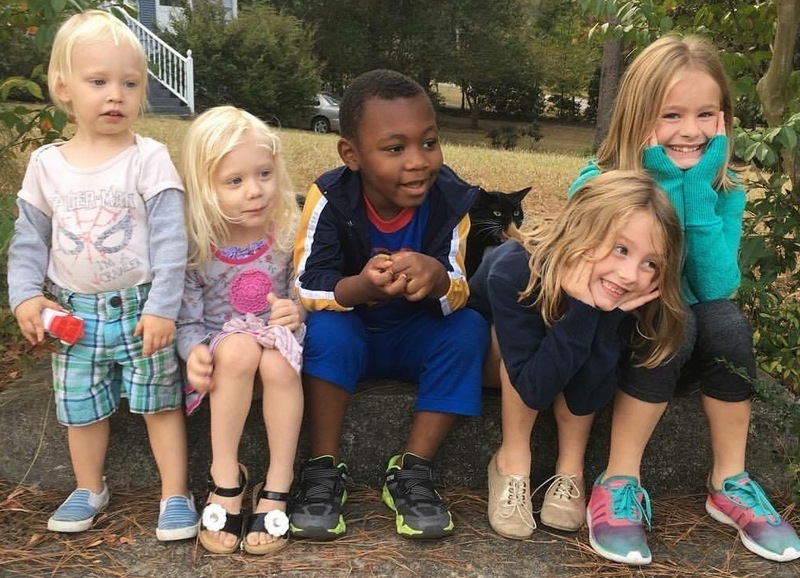 I began to see that racism was alive and well when we fostered and eventually adopted our little boy who is African-American. I saw the systemic problems of race in America through a relationship with his birth mother. God floored me with His grace by giving me, not one, but two surprise pregnancies after we adopted our third child. He showed me that He most definitely is sovereign in all things. He grew our family in His timing and His way and it was good! Infertility ended up being a gift. God challenged my view of Him and showed me that I could trust Him. I see now how self focused my faith was. I thought the Christian life was all about how God would use me for my glory. Now I see that it is all about His. I have become a woman that is passionate about social justice, racial justice, foster care and adoption, minimalist living, Biblical literacy and women’s ministry. My life is not at all what I thought it would be. God is still changing me, of course. And it’s still not easy. It still feels like surgery without anesthesia sometimes. Especially when the changes brought about in my life make others uncomfortable. I am learning to put my hope in God and not man’s view of me. I welcome it, though. When I look back and see how much God has done in my life, just in the last ten years, I can’t help but give Him praise. I can’t help but trust Him because of the promises in His word and what He has already done. I know He doesn’t promise happiness, health or the “American Dream,” but I know that He is good and that everything He does is for His glory and ultimately my good. Bring on the change. Bring on the sanctification. Change me, Lord. Amen.